The Quran is the eternal miracle of the Prophet Muhammad. All the miracles of the Prophets ended with their death, except Prophet Muhammad whose miracle is still preserved. Those two verses prove that the Quran is the Words and Speech of Allah, that He Has Revealed to His Prophet Muhammad. Hence, it is the Speech of Allah as unanimously agreed upon by all Muslims. 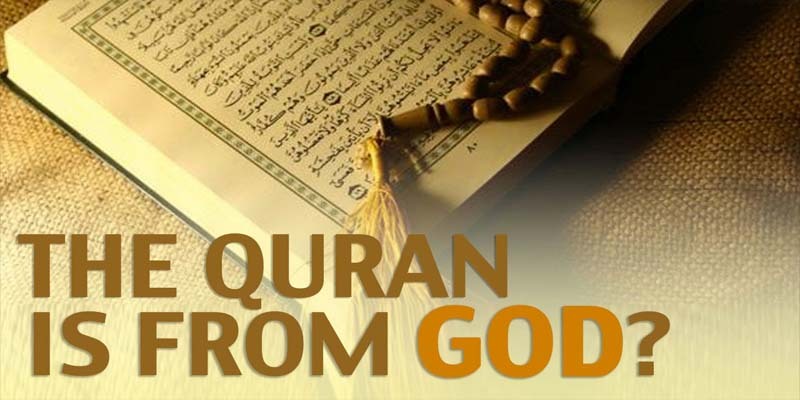 1- The polytheists failed to produce a single verse, let alone a single Chapter, or a book like the Quran despite the fact that they were utterly determined and extremely motivated to oppose and falsify the call of the Prophet. Furthermore, we must remember that they were the masters of the Arabic language, in which the Quran was revealed. Certainly, this constitutes a definitive proof that the Quran is from Allah, The Lord of The Worlds. 2- The Quran foretold many matters of the unseen and made several prophecies that were all fulfilled exactly as they were foretold. For example, the Persians defeated the Byzantines in one of their battles. The Quran recorded this defeat foretelling that the Byzantines would defeat the Persians, and this is what actually happened. 3- The Quran includes many miraculous scientific facts that were only discovered fourteen centuries later. 4- When one reads the Book of Allah, he goes into a state of peace and tranquility unlike the human speeches or writings. This is the Quran, the Speech of Allah that has been challenging humankind and proving its inability to produce something to its effect as to its eloquence, wise judgments, and authentic news. The challenge is still valid, and the inability of mankind to face that challenge remains. Thus, the Quran will remain the everlasting Argument of Allah, The Almighty, against all opponents and disbelievers.